The Baltimore Orioles head to Angel Stadium on Tuesday, August 8, 2017 to take on the Los Angeles Angels. The expected starting pitchers are Jeremy Hellickson for the Orioles and Parker Bridwell for the Angels. The odds for this matchup have Baltimore at +110 and Los Angeles at -121. The Orioles have a 57-51-3 over/under mark and a 54-57-0 run line record. 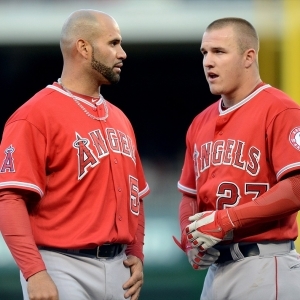 The Angels are 62-48-0 against the run line and have a 52-54-4 over/under record. The Orioles have a 55-56 overall record this season. Starting pitcher Jeremy Hellickson has a 7-5 record with an earned run average of 4.45 and a WHIP of 1.23. He has 68 strikeouts over his 119.1 innings pitched and he's given up 116 hits. He allows 8.7 hits per 9 innings and he has a FIP of 5.36. The bullpen has an earned run average of 3.96 and they have given up 395 base hits on the year. Teams are hitting .254 against the bullpen and they've struck out 352 hitters and walked 139 batters. As a team, Baltimore allows 9.7 hits per nine innings while striking out 7.6 batters per nine innings. They are 28th in the league in team earned run average at 4.93. The Orioles pitchers collectively have given up 1060 base hits and 541 earned runs. They have allowed 163 home runs this season, ranking them 4th in the league. Baltimore as a pitching staff has walked 392 batters and struck out 836. They have walked 3.6 men per 9 innings while striking out 7.6 per 9. They have a team WHIP of 1.47 and their FIP as a unit is 4.91. As a team Baltimore is hitting .261, good for 6th in the league. The Orioles hold a .439 team slugging percentage and an on-base percentage of .316, which is good for 22nd in baseball. They rank 6th in MLB with 9.0 hits per game. Adam Jones is hitting .272 with an on-base percentage of .312. He has 117 hits this season in 430 at bats with 53 runs batted in. He has a slugging percentage of .453 and an OPS+ of 104. Jonathan Schoop is hitting .303 this year and he has an on-base percentage of .354. He has totaled 125 hits and he has driven in 82 men in 412 at bats. His OPS+ is 141 while his slugging percentage is at .556. The Orioles have 1004 hits, including 191 doubles and 160 home runs. Baltimore has walked 288 times so far this season and they have struck out 946 times as a unit. They have left 724 men on base and have a team OPS of .755. They score 4.7 runs per contest and have scored a total of 522 runs this year. Los Angeles has a 55-57 overall mark this year. With an earned run average of 3.20, Parker Bridwell has a 5-1 record and a 1.24 WHIP. He has 38 strikeouts over the 59 innings he's pitched. He's also given up 57 hits. He allows 8.7 hits per nine innings and his FIP stands at 4.97. The bullpen has an earned run average of 3.97 and they have given up 334 base hits on the year. Teams are hitting .236 against the Angels bullpen. Their relievers have struck out 387 batters and walked 120 opposing hitters. As a team, Los Angeles allows 8.5 hits per nine innings while striking out 8.2 batters per nine innings. They are 14th in the league in team earned run average at 4.22. The Angels pitchers as a team have surrendered 946 base knocks and 467 earned runs this season. They have given up 153 home runs this year, which ranks 7th in Major League Baseball. Los Angeles as a staff has walked 343 hitters and struck out 907 batters. They give up a walk 3.1 times per 9 innings while they strike out 8.2 per 9. Their team WHIP is 1.29 while their FIP as a staff is 4.44. As a team, they are batting .246, good for 24th in the league. The Angels hold a .392 team slugging percentage and an on-base percentage of .315, which is good for 23rd in baseball. They rank 26th in MLB with 8.3 hits per contest. Mike Trout comes into this matchup batting .343 with an OBP of .463. He has 82 hits this year along with 51 RBI in 239 AB's. He maintains a slugging percentage of .703 with an OPS+ of 212. Andrelton Simmons is hitting .301 this season and he has an OBP of .355. He has collected 124 hits in 412 at bats while driving in 49 runs. He has an OPS+ of 120 and a slugging percentage of .456. The Angels as a unit have 924 base hits, including 170 doubles and 120 homers. Los Angeles has walked 342 times this year and they have struck out on 819 occasions. They have had 720 men left on base and have an OPS of .707. They have scored 4.28 runs per game and totaled 479 runs this season. Who will win tonight's Orioles/Angels MLB game against the spread?